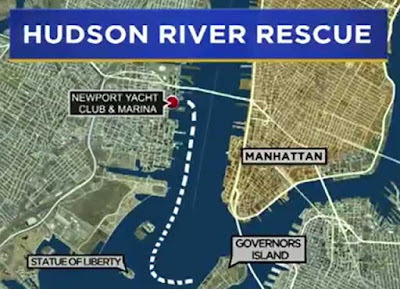 Authorities say a teenager watching the sunrise on a piece of plywood in New Jersey was swept out by the Hudson River current and wound up about two nautical miles away near Governors Island. FDNY Capt. Louis Guzzo says Armaan Munglani, 19, was sent drifting into the river on an eight-foot piece of plywood at around 4:45am on Thursday. Armaan, who is visiting the US from south London, England, by himself for a month, said all he wanted to do was see the sunrise. 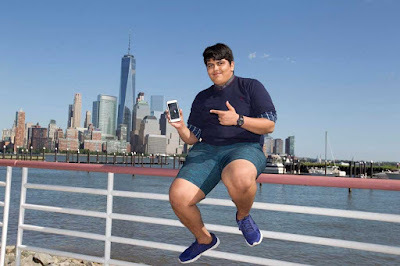 “I was just looking at cool stuff, looking around me, looking at the beautiful city,” he said, “I’m happy to be alive.” Armaan took a picture of the Manhattan skyline, just before he stepped onto a rickety raft tied to the dock. “Next thing, this thing is floating away,” he recalled. What first felt like an adventure quickly turned dangerous. “Water gushing on me, it’s really cold,” he said. Armaan isn’t a strong swimmer and tried to call for help on his phone. “I couldn’t. It wasn’t working because it got wet,” he said, “Eventually I just removed my shoes, put my knees under the thing, and tried to paddle my way back.” He tried, but the current was too strong. 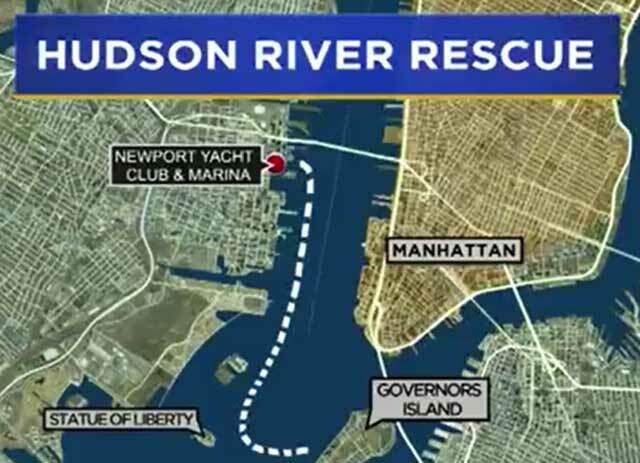 The FDNY confirmed that Armaan floated nearly 2 miles down the Hudson River, past the Statue of Liberty and almost to Governors Island. Afraid he would get hit by a huge boat or ferry, Armaan tried shouting and signalling. “I removed my jacket and was waving that, shaking it,” he said. Armaan said he was finally able to dry his phone with his shirt, and frantically called 911. The FDNY Marine Unit came to his rescue at 4:45am. “My clothes were wet, and I was shivering, and I couldn’t even talk,” he said, “The way I see it, they’re gods to me because they saved me from dying.” Armaan was rescued unharmed about a quarter mile from Governors Island. Security at the Newport Yacht Club said they have told Armaan he is never welcome there again - ever. "Armaan isn’t a strong swimmer and tried to call for help on his phone."